A replacement pair of off road mountain bike 'fat' wheels to fit most everyday wheelchairs. 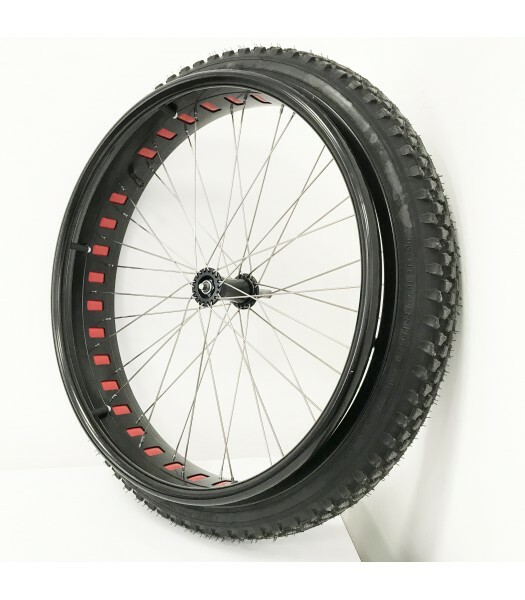 This is an ideal wheel to fit on your wheelchair, making it easier to go over rougher terrain. With a 22" wheel rim and a 4 inch wide tyre, the overall diameter remains at 24" keeping the setup of your wheelchair the same. 1/2" quick release axle diameter. 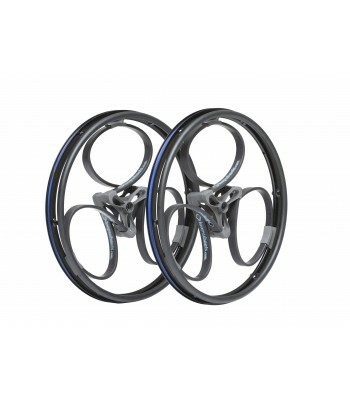 Wheels supplied as a pair and come complete with a pair of quick release axles.